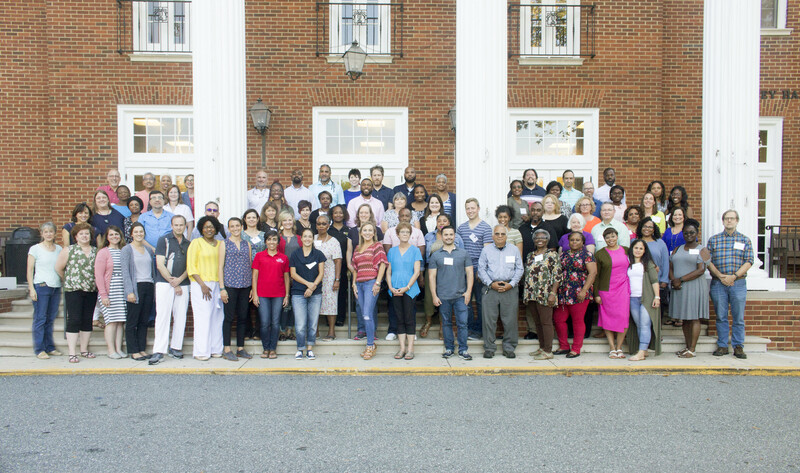 In late 2016, the Extension Committee on Operations and Policy (ECOP) charged a small team of Cooperative Extension Service (CES) and non-Land Grant University professionals (referred to as a Rapid Response Team) to examine the current capacity of CES to respond to the need for dialogue to promote racial understanding and healing, and to provide recommendations to build CES capacity in this area. Following the April 2017 report to ECOP, the Rapid Response Team explored training options for civil dialogue on race relations to meet the need to expand capacity. 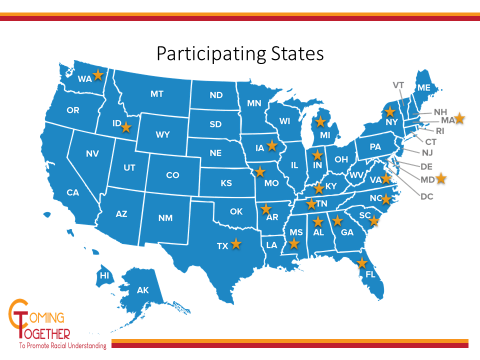 Recently, a team of 23 professionals both within and outside the Land Grant University system have identified, organized, and refined a training process designed to prepare teams in participating states to serve as trainers within their own states. The first step in building capacity for this work within CES will be to host a train-the-trainer event in which teams of 3 individuals from among the nation’s LGU Cooperative Extension Services will be invited to participate in a five-day intensive training workshop. The workshop will prepare these participants to return home to their own states and prepare a larger cadre of CES personnel to lead dialogues. Then this larger state CES team will begin working within the communities they serve to facilitate dialogues on race relations at the local level. The result will be a stronger capacity within CES to assist with difficult conversations around race. This capacity will also assist with other challenging topics that might arise in their day-to-day duties. Communities will benefit by having a well-trusted entity embedded within their communities to help navigate these challenging waters. Also, each community will follow up the conversations by developing a plan for doable actions that can help improve the racial climate within their respective places. Twenty states are participating in the first pilot effort. Teams from these states attended a train-the-trainer workshop on August 27-31, 2018. Train the Trainer Workshop – The workshop was designed to prepare State Teams to lead the work of the subsequent phases of the pilot within their respective states. The three-person team will lead the initiative at home. CES Capacity Building Phase – The purpose of this phase is to expand the State Team by selecting and training a larger team of CES professionals interested in this work. Each State Team will work with the Extension Director/Administrator to recruit participants from among their CES colleagues in their home states. These participants will use the training and dialogue processes modeled at the Train-the-Trainer event to help build capacity among the CES family. A minimum of 10 participants will be recruited per state for this phase. NOTE: Participants in this phase should be those willing and interested in this work rather than mandated by others, recognizing that this topic is one that not all CES professionals may be ready to lead. Community Civil Dialogue Phase: The State Team will work alongside the other CES individuals that were trained in the Capacity Building Phase to implement one of two models that will be presented in the training in at least one community.